Issued at 2:56 pm EST on Monday 11 February 2019. A surface trough over southern, central districts moves slowly east over the coming days, to the west of the trough lies a very dry airmass. An upper level ridge over the State will increase temperatures. 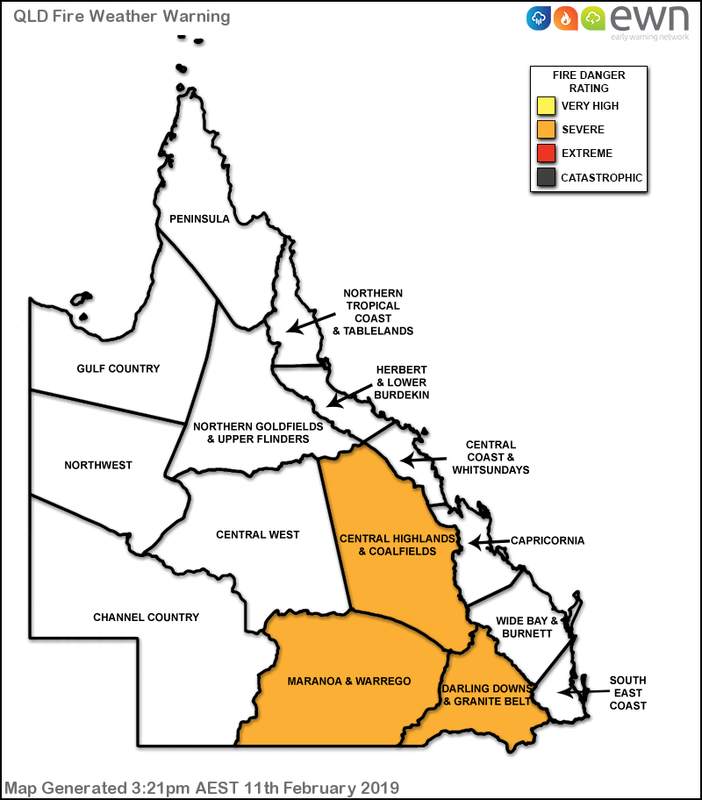 The forecast hot and dry conditions will create severe fire dangers across forested areas of Maranoa Warrego, Darling Downs Granite Belt and southwestern Central Highlands and Coalfields for tomorrow. The severe fire dangers will persist in the same districts into Wednesday.